Did you know there are over 2,000 conservative, Christian mothers who love and accept their LGBTQ children? Connected through private Facebook support groups, the women call each other "mama bears" because of the ferocity with which they fight for LGBTQ rights. Galvanized by love, they agitate and advocate for LGBTQ rights by signing petitions, turning up at town hall meetings, holding press conferences, fighting discriminatory laws, marching in protests and pride parades, and meeting with civic and faith leaders to foster more inclusion and acceptance. Mama Bears is a feature-length documentary about the lives of these amazing, unsung heroines, their children, and members of the LGBTQ community who have suffered the devastating effects of familial rejection. Shot in an intimate, poetic visual style, Mama Bears will serve as an important tool to foster greater acceptance and affirmation within US faith communities. Because many of these moms come from evangelical and fundamentalist churches and can speak the language, they serve as natural bridges who can touch the hearts of people we don't normally reach. My goal is to travel with mama bears, their children, affirming church leaders, and LGBTQ speakers to communities of faith to show them how to love and accept their LGBTQ friends, family, neighbors, and children. to MAKE A TAx-DEDUCTIBLE donatION to Mama Bears, please click here. This vibrant crowd-pleaser, which premiered at the 2017 Berlinale and won the 2nd place Panorama Audience Award, rediscovers the legacy of iconic chanteuse and sexual outlaw Chavela Vargas, a pistol-packing, cigar-smoking, tequila-downing, woman-loving singer whose renditions of classic Mexican ranchera songs are definitive for many Latinos. Chavela's love affairs with Ava Gardner and Frida Kahlo gave her a reputation as the ultimate seducer, and her frequent collaborations later in life with Pedro Almodóvar (who is featured prominently in the film) solidified her artistic influence throughout the world. But it was her voice, swagger, and hunger for the spotlight that made her one of the greatest of all live performers—a reputation the film resoundingly confirms. "This hunger lends Chavela a fiery momentum that makes essential a past that feels more relevant now than ever. 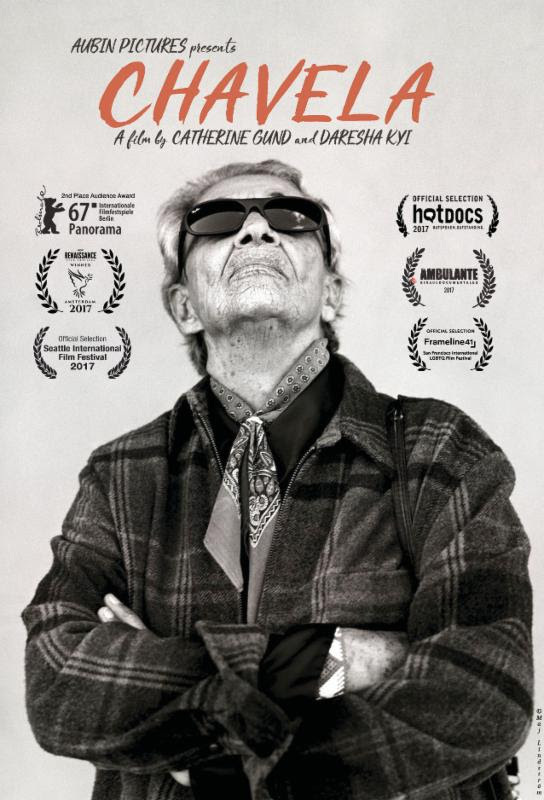 The directors delve deep into archival interviews with Chavela during her later years, positioning her nostalgic—and quite frank—recollections as a starting point for what becomes a complex portrait of the artist as both a performer of indefatigable power as well as a fragile and tortured human being. Telling anecdotes teem with humor, as well as some outrage (especially regarding the rampant misogyny and homophobia she had to endure), while other revelations about her affairs and broken partnerships pack powerful emotional punches. The result is a larger-than-life portrait of one of the toughest, most talented singers of her generation, a macha lesbian who played by her own rules, baffling and transfixing an entire industry and countless audiences in the process." “I didn’t ask to be a leader. They made me a leader when they killed my son,” explains Samaria Rice about the death of her 12-year-old son, Tamir, who was shot by a Cleveland police officer while playing in the park. When Prosecutor Timothy McGinty refused to indict the officer who killed the child, community organizers galvanize the citizens of Cleveland to band together and successfully unseat him. Spanning the period from the 2015 Movement for Black Lives Convening to the 2016 Republican National Convention, Dispatches from Cleveland is a feature-length documentary in five parts which closely examines one of the most racially divided cities in America. This award-winning mockumentary short, Thugs, The Musical is about Michael Gardner (Kevin Avery), a frustrated, delusional, and extremely non-urban black actor who writes, directs & stars in a disastrous musical to prove to Hollywood that he can "act black." Directed by Liam Sullivan (Shoes, Let Me Borrow That Top) and written by Emmy Award–winner Kevin Avery, the film stars David Alan Grier, Margaret Cho, Rachel True, Prodigal Sunn, Kenn Michael, and Baron Vaughn. Featuring original music from Kevin Avery and Alex Burke of Magnolia Memoir. NYS Poet Laureate Audre Lorde was a fiercely passionate American visionary who was a role model not only for black women, but for everyone who believes, as she did, that “liberation is not the private province of any one particular group.” An epic portrait of the eloquent, award-winning Black lesbian, poet, mother, teacher, and activist, A Litany for Survival, co-directed by Ada Gay Griffin and Michelle Parkerson, features interviews with many of Lorde’s fellow poets and activists, including Adrienne Rich, Sapphire, and Sonia Sanchez.. From Lorde's childhood roots in NYC's Harlem to her battle with breast cancer, this moving film explores a life and a body of work that embodied the connections between the Civil Rights movement, the Women's movement, and the struggle for lesbian and gay rights. When a fiercely independent young African American woman and her nouveau-nationalist photographer boyfriend decide to visit the father she hasn't seen in years, the tragicomic reunion shatters her illusions and provokes the two lovers to reveal that they are both the wounded children of alcoholics. The revelation changes their perception of themselves and each other and serves as a springboard to a new way of relating. This award winning short narrative co-stars Daresha Kyi and Isaiah Washington in his first film. "...a closely observed slice of Black cultur(e)...highlighted by the filmmaker's soulful and riveting performance." Award-winning short drama about friendship and jealousy between a stay-at-home mom and her career-driven friend.